Some opportunities are a special gift and honor, whether it is saving a patient’s life or advancing one’s involvement in an organization with a great mission. 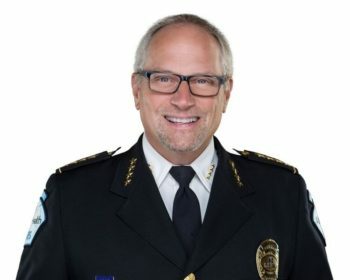 Brian LaCroix, President of National EMS Management Association (NEMSMA) has begun his journey of a two-year term in his role as president for the organization dedicated to supporting and educating leaders in paramedicine. His honorable accreditation presides his threshold of retirement from EMS Chief for Allina Health. Throughout his career, LaCroix has worked in public safety for 36 years and as the full-time EMS Chief for Allina Health the past 22 years. Allina Health is the largest EMS operation in Minnesota, based in St. Paul with 20% of the state receiving its prestigious care. Its staff of 620 of field providers, dispatchers and support staff receive 340 calls a day amounting to 120,000 patient contacts per year. Staying on top of the medical game is an understatement for the hospital’s supportive hands and impeccable systems, thanks to leaders like Mr. LaCroix. LaCroix’s vision of retirement is unlike most people with his dedication in becoming NEMSMA’s current president. As a reflection on moving forward after retirement, LaCroix says, “It has been an honor to serve in the hybrid of health care and public safety, but it is a valuable exercise in any point in life to have a beginner’s mindset in your next ventures, especially in a fast-paced society. Constantly reinventing yourself to earn the trust and respect of your coworkers is a great exercise.” Evolving one’s identity to keep up with the landscapes of a new role in life is detrimental in finding healthy and exciting accomplishments in life. LaCroix’s passion and flare for new beginnings gives his retirement fulfilled meaning. In his commitment to NEMSMA, LaCroix will focus on supporting, educating and advocating for leaders in the career field of paramedicine while advancing credentials in supervisory, managing and executive paramedic officer programs. Existing and aspiring leaders can grow into stronger leaders in the community to learn each of the languages in the three focused dynamics. Each of the competency requirements will inevitably help enhance the structured environment in public safety and provisions of ambulance service since the foundations of EMS beginning in the U.S. during the 1960s. In addition to his ability to shape leaders in paramedicine, LaCroix is extremely appreciative of his growing relationship with Savvik Buying Group. Savvik helps support smaller organizations like NEMSMA, because the alliance formed between both entities helps NEMSA become a benefactor of a mutual agreement for Savvik members. When members use Savvik, NEMSMA receives a small percentage of membership fees. LaCroix says, “It’s a win/win partnership. It does not cost anyone more, but benefits both parties involved of shared resources.” Building opportunities for Savvik members while helping smaller organizations flourish helps solidify the system for success in the public safety realm. LaCroix’s role as President of NEMSMA and partnership with Savvik has created new beginnings as one chapter ends. Retirement has afforded LaCroix a greater capacity to advance the vision of NEMSMA while reinventing his support for existing and prospective leaders in paramedicine. His natural ambition for new ventures and building partnerships with Savvik Buying Group makes him a great leader creating his foundation of a new beginning after retirement. Savvik Buying Group values its commitment to providing the best companies for its members in the public safety realm ranging from fire, ambulance to EMS rescue companies. Premier Specialty Vehicles (PSV) helps Savvik members find reliable, well-built ambulances with a mid-range budget to fit your medical needs. PSV is the upper Midwest dealership for Horton Emergency Vehicles and American Emergency Vehicles (AEV). Horton ambulance is available if buying decisions are based on quality and performance over price. AEV offers options for well-built ambulances that fit into a mid-range budget. Customizable to your needs, PSV provides these leading manufacturers to meet your standards as an ambulance buyer. Having the resources at hand is a vital component before disasters happen and during emergency situations. PSV’s goal is to provide full service, from start to finish, in designing the most suitable vehicle for each operation while supporting buyers after the sale. Leading in innovative relations and technology, PSV specializes in helping buyers develop a vehicle replacement program that focuses on rotating vehicles in and out of the fleet in order to maximize its budget dollar. In addition, PSV maintains a full-service and parts supply that provides routine maintenance and repair in Fergus Falls, Minnesota. It’s saving lives done right. Savvik Buying Group prides itself in its partnership with other companies in order to provide the best membership benefits and bid pricing to each Savvik member. PSV offers great buying options with the addition of premier service for the bottom dollar value. Bridging each opportunity enhances the public safety realm to shift the focus on saving lives that much stronger every day.